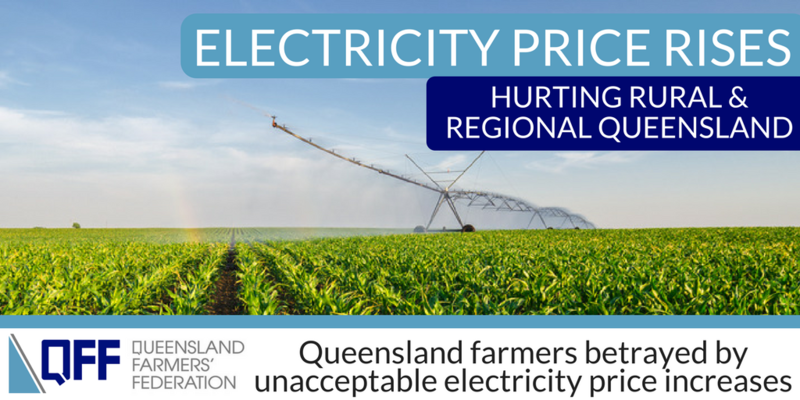 Rural and regional Queensland have today been betrayed and letdown as the Queensland Competition Authority (QCA) delivered its final determination that electricity prices would yet again significantly increase for 2017–18. The final version of the QCA Regulated Electricity Price determination released today outlined yet another year of above consumer price index (CPI) increases. Queensland Framers’ Federation (QFF) President Stuart Armitage slammed the QCA price determination as price gauging at the expense of regional and rural Queenslanders. A few hours after the QCA release of the price determination, Treasurer Cutis Pitt shared regional Queensland outrage at the stated increases and has directed the QCA to revisit its figures and make a final price determination on 16 June 2017. “We acknowledge and thank the Queensland Government’s commitment not to pass on the full increase, however the continued uncertainty remains a frustration for our entire sector,” said Mr. Armitage.